Ferdinand Marcos, Jr. better known as Bongbong is rest assured that the Filipino people are hungry for a Marcos leadership despite the propaganda against his father who remains not buried after his death many years back due to the dispute between Marcos and the Aquino administration that started from family feud. 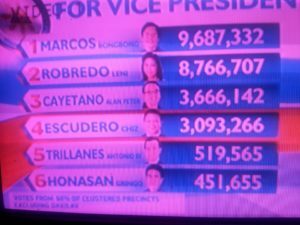 Data shows that Marcos will soon rise after his consistent lead during the partial count of the Vice Presidency race today, May 9, 2016. 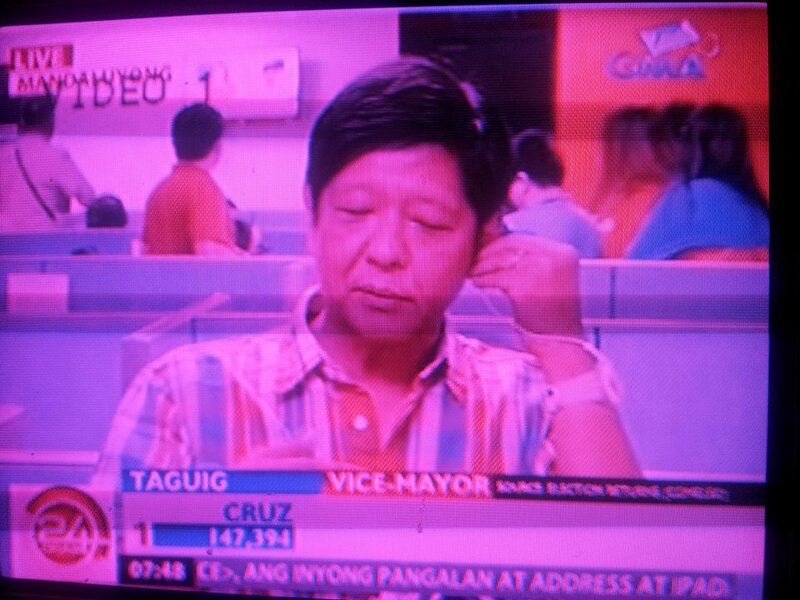 Although he wanted to wait for the official results, many are confident that he will end up to be the Vice President of the Philippines.